You are here: Home / Web Browser / How to Delete Firefox History? How to Delete Firefox History? Every Internet Browser, that may be Google Chrome, Internet Explorer, Mozilla Firefox, Microsoft Edge or any other, stores the record of the sites you visited and make them available to you whenever you want to revisit them. You don’t need to remember the site you visit to revisit the site in future. Your internet browser does it for you. 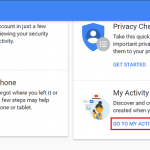 But sometimes you may be using the devices that are publicly accessible, and you don’t want others to see what you browsed for, in such case you need to remove browsing history. Delete Browsing Firefox History does not only keep up your privacy but also improves the performance of any internet Browser. We are here to tell you how to delete Firefox history. Run Mozilla Firefox in your device. Click on menu tab on the top right corner of the page. Menu icon is the three horizontal lines arranged in a column. You will see the tabs of options, From among the options click on History. Under the history page, click on Clear Recent History option. If you want to avoid the steps as mentioned earlier, then “Ctrl+Shift+del” is the shortcut key to reaching the Clear history section. 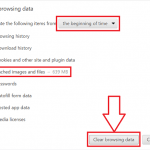 Under the clear history section, you will be asked to select the time range from when you want to clear your history. Choose the preferred time range from the drop-down list. If you want to delete the entire history, then select Everything. Make sure that Browsing & Download History is selected. IF you want to delete other stuff like Cookies, Cache and so on then select them as well. Once you are done selecting the items to be deleted and the time range from where they are to be removed click on Clear Now option at the end. Then all your Browsing data will be erased. If you don’t want to Mozilla Firefox to keep tracking of the sites, you visited you can browse from the Private window for Firefox. To reach to the Private window in Firefox, click on the menu icon (three horizontal line arranged vertically) and then click on New Private Window option. The shortcut key to reaching to New Private window in Mozilla Firefox is Ctrl+Shift+P.